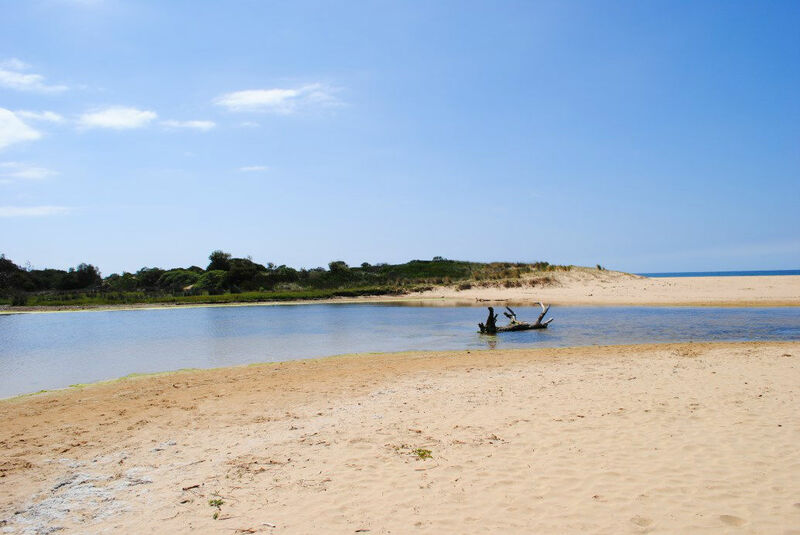 Lake Bunga Beach is long stretch of golden sand starting from the Lakes Entrance Main Beach and continuing through to Red Bluff Beach at Lake Tyers Beach. 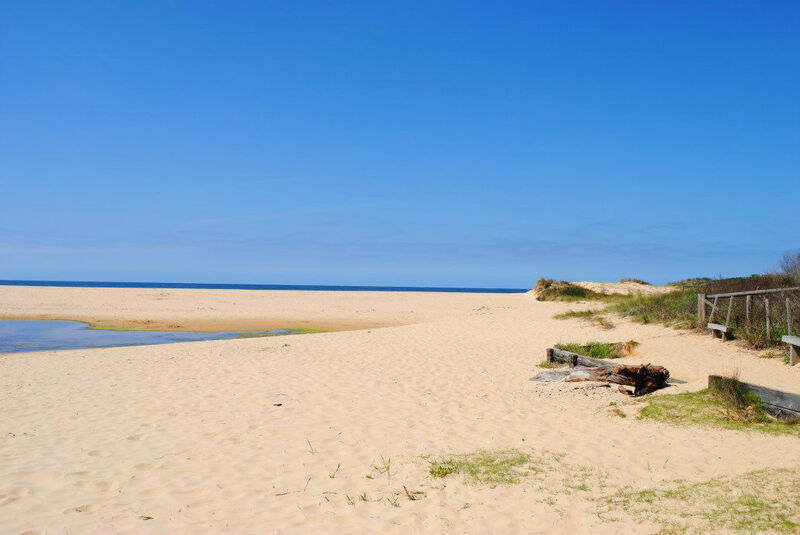 You can walk, from Main Beach in Lakes Entrance, all the way along Bunga Beach to Red Bluff at Lake Tyers. 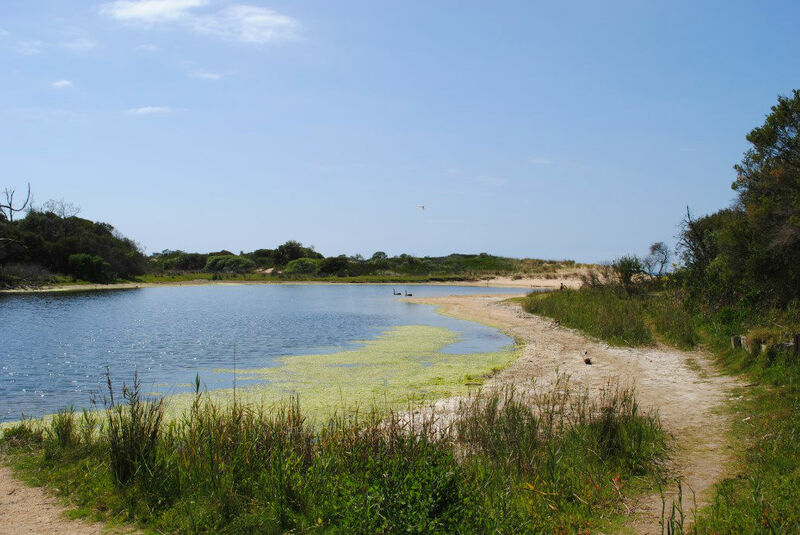 Lake Bunga Beach is accessed by heading north on the Princes Hwy heading out of Lakes Entrance. You will go past St Brendans Primary school on the right. Continue until just before the 90km/hr sign at the edge of Lakes Entrance. A turnoff to the right is signposted to Lake Bunga Beach. Continue all the way down Lake Bunga Beach Road to the end. There is a small, gravel carpark, with other car parks leading off from here. 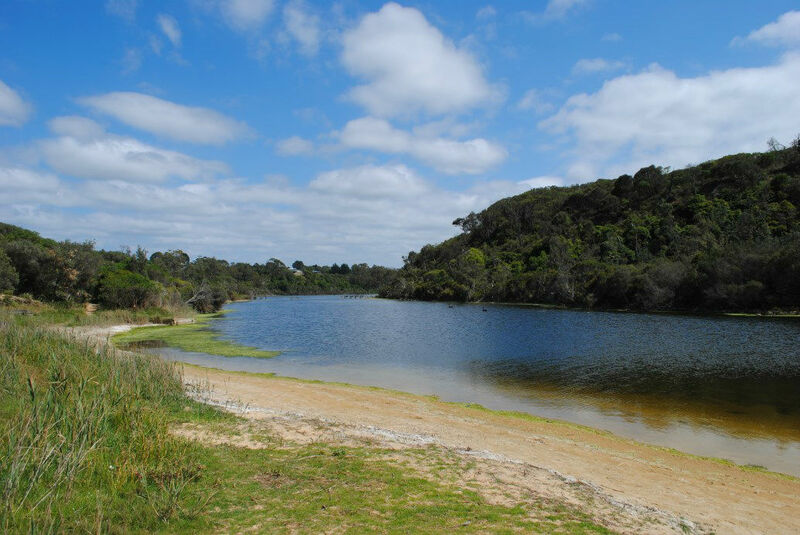 A short 5 minute walk takes you past the Lake, and out onto the golden sands of Lake Bunga Beach. 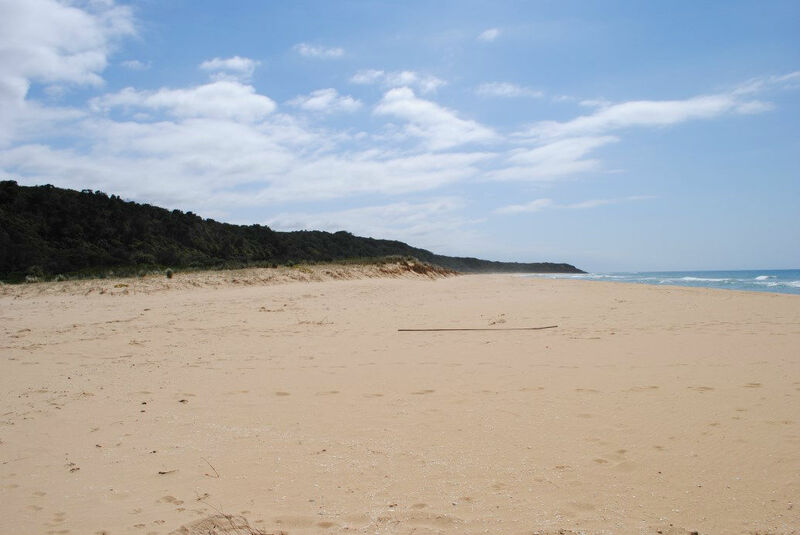 This is a fairly secluded beach, not visited by too many people. Sand dunes make for some privacy. 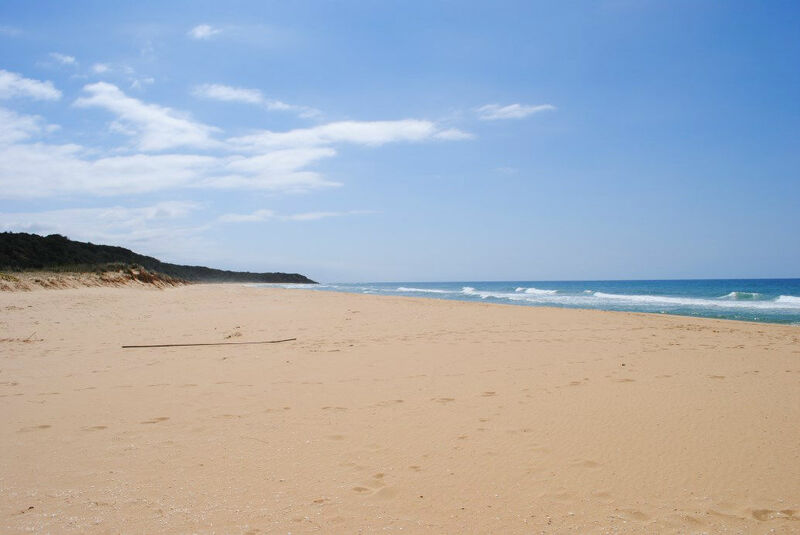 The beach is not patrolled during the summer by Surf Lifesavers, so take care and watch children or weak swimmers. Conditions can change suddenly and this beach can be subject to rips. 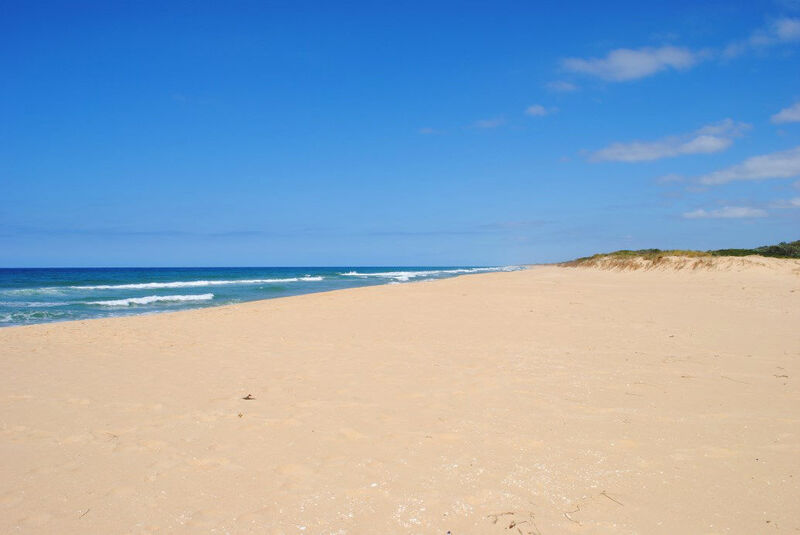 Overall, it's a nice beach for sunbaking and dipping in the ocean. 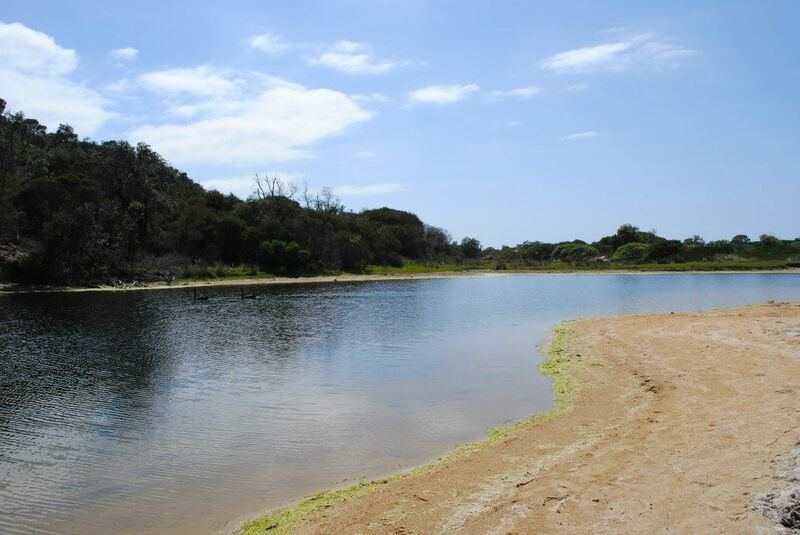 The Lake itself can sometimes be subject to algae blooms, so ask the locals before taking a dip.